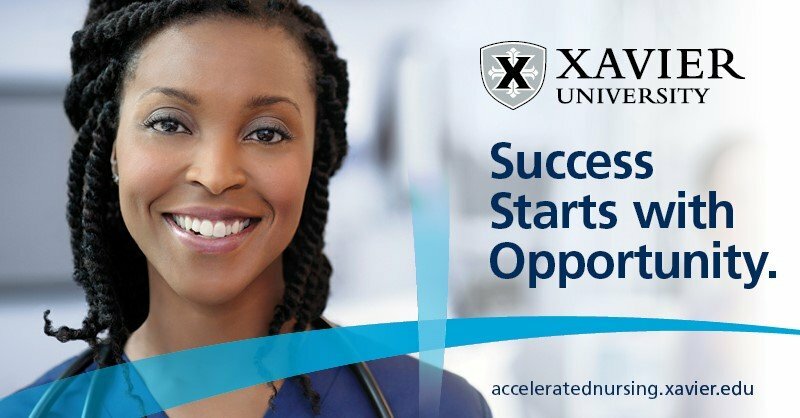 Xavier University’s Accelerated Nursing Blog \ Nursing Inspiration \ Career Advice \ Is Travel Nursing Right for You? Of all the amazing career opportunities available for Registered Nurses, “travel nursing” is certainly one of the most intriguing. Travel nurses complete temporary assignments at hospitals around the country. As a result, they’re able to travel the nation while broadening their nursing skills by working at hospitals of all types, from rural facilities to urban trauma centers. However, travel nursing has some unique challenges, and it isn’t for everyone. In this article, we’ll take a look at some of the main challenges to consider so you can determine whether or not travel nursing might be right for you. First off, there are required qualifications to be a travel nurse. The standard requirement is 1 to 2 years of experience within the last three years in the specialty applied for. Hospitals are looking for nurses who can contribute immediately, with nothing more than a brief orientation to the unit. It’s still possible to be a travel nurse if your specialty is in less demand. However, it will require greater flexibility with respect to location, shift, and pay. That brings us to the next item to consider when determining whether or not travel nursing is right for you: flexibility. The truth is that all travel nurses will need to exhibit some level of flexibility with respect to location, shift and pay at one point or another. As a travel nurse, you’ll be changing jobs 2 to 4 times per year. Additionally, it’s important for jobs to start soon after one another in order to maximize annual pay. Therefore, lengthy job searches are not advised. Of course, your job selection will be limited to what’s available at the time you’re changing jobs. As a result, your most desired location may not be available. Or, it may be available but not with the shift or pay you’re seeking. So some degree of flexibility is required in order to be successful as a travel nurse. That said, it’s important to point out that travel nurses are often pleasantly surprised by how much they enjoyed a location that wasn’t on their list of choices. They find great people, great hospitals, great culture, or stunning natural beauty in unexpected destinations. As mentioned above, travel nurses change jobs much more often than normal. In fact, travel nurses often start searching for jobs 8 weeks after they started their current job. Therefore, it can feel like you’re in a perpetual job search. This can be both stressful and a lot of work. It takes time to apply for jobs, interview, and complete all the paperwork once you’ve landed the job. Additionally, you’ll be evaluating pay packages and negotiating contract terms, both of which are more complex than they are for permanent positions. Fortunately, there are many useful resources available to help travel nurses streamline the process. First, recruiters should be doing most of the leg-work required to find and apply for jobs. When it comes pay packages and contract negotiation, there are plenty of informational resources available to help travel nurses become proficient with these topics. For example, this article from BluePipes provides a detailed breakdown of travel nursing pay packages. One of the byproducts of changing jobs so frequently is that travel nurses are acclimating to new hospitals more often than normal. Of course, travel nurses receive an orientation to the unit each time they arrive at a new hospital. However, hospital orientations for travel nurses vary from hospital to hospital. Some hospitals are very thorough and provide travel nurses with nearly the same orientation newly hired permanent employees receive. Other hospitals provide nothing more than the bare minimum to get you started. In all cases, travel nurses must exhibit some initiative. They may need to find their own way around the unit and supply rooms. They might need to discover how to handle time-reporting or figure out the hospital’s scheduling system all on their own. Travel nurses must acclimate to new computer charting systems with limited training. For all these reasons, being a self-starter helps make travel nursing a much more enjoyable experience. Speaking of enjoying the experience, the “travel” part of travel nursing is perhaps the most alluring part of the career and potentially the most enjoyable. And why not? Living for 3 to 6 months at time in various locations around the country or the globe sounds amazing. Travel nurses get to experience the local culture on a deeper level. They get to visit some of the most beautiful locations on earth and get paid while they do it. That said, it’s important to consider all aspects of living on the road. Perhaps most importantly, the vast majority of travel nurses are traveling on their own. This requires a certain level of independence. It can be easy to get homesick, lonely, or bored when you’re constantly moving to a new location. Luckily, the staff at many hospitals are very welcoming of travelers and often include travel nurses in outside activities. Additionally, there are almost always other travel healthcare professionals at your hospital. They’re in the same boat. Seeking them out and partnering up for activities can be all it takes to have an amazing time! If you don’t want to go it alone, then travel nursing with pets and/or family is certainly possible. Almost every travel nursing company welcomes pets. Nonetheless, it does entail some additional challenges, most notably with housing. Travel nursing with family is much more complex, especially if you bring the children. However, many families find travel nursing together to be an enriching and rewarding experience. Travel nursing is certainly one of the more unique and exciting career opportunities for Registered Nurses. We hope this article helped you understand if it might be a great option for you to explore in the future!